We are going to cover why our body is the magic pill, and that we have to get out of the way and let it do its healing job. The body is always healing, that’s what it does. we are commonly asked, is it ever necessary to take pills or medication? The answer to that is indeed it is occasionally necessary and that’s just the way it is. 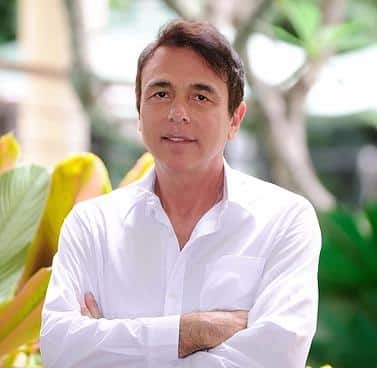 Dr. Lodi believes from his experience and also from what he has actually seen is that it results from a lack of faith and also complete understanding. We had a woman that came to us in 2001, she had stage 4 advanced cancer throughout her body as well as a large chest mass. This was in June of 2001, and in regards to therapies she said, I do not intend to do anything except the way of living your speaking about, green juicing as well as raw food. She didn’t want any other treatments like intravenous vitamin C or any of the other metabolic therapies we offered. Dr. Lodi said okay, however, will you come in to see me on a monthly basis as well as let me examine your mass, she said yes. Each time Dr. Lodi saw her and examined her, she was getting better and better and she said she was feeling wonderful. Sadly, in January of 2002, she had a deadly automobile crash and when they performed an postmortem examination, there found no cancer. Now, if you had asked her if pills or medications were necessary, her response would obviously be no. I have rarely met a person with that degree of competency and also faith. Now, in relation to the magic pill, tablet or whatever you want to call it, well, we are sitting in it, that’s right, it’s our bodies. Our body is the magic pill. Do you know of anything synthetic that mankind has produced that heals itself? Let’s review some things and see, maybe the best super computer, or the most exotic automobile, or even a $20 billion dollar space shuttle, well guess what, they can’t heal themselves. Again, our body is constantly healing, we just simply need to stay out of the way, don’t complicate things, and allow it to do it’s healing thing. We see if doctors knew what they were doing, hospitals would be empty but instead there’s waiting room only, standing room only and they are getting fuller. The medical association is a crazy backwards systems. The fact that the pharmaceutical industry and growing year to year prices this, they want you to believe their pill fills your deficiency in whatever it is your are deficient in, it’s nuts. Take hypertension or high blood pressure, say someone had blood pressure of 240 over 120 which is pretty serious, they will will want to give you a drug to take or you could just have an intravenous treatment of magnesium. Magnesium will lower it immediately and most people are lacking in magnesium. It’s just a backwards medical system. At An Oasis Of Healing, we treat you naturally and do no harm to your body and let your body heal itself. 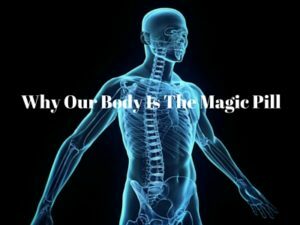 This is why our body is the magic pill and we need to take care of it as such.